Special bar quality (SBQ) steels represents a wide variety of higher quality carbon and alloy steels. Although there is no single definition, special bar quality steel can be defined as steel that moves (rotates, twists or bends) rather than stays still whilst in use. The term is used to describe steel long products for more demanding processing or end-use applications which cannot be met by merchant quality grades. The term “Special Bar Quality” is a predominantly a North American term. In Europe, special bar quality steels are commonly known as “engineering steels”. Both these terms refer to steel types as well as to bar products, and as they are often associated with the steel grades, they refer to billet and slab as well as bar. SBQ steels are at the higher end of the quality spectrum in both metallurgical consistency and dimensional accuracy. Some end uses of these steels may require superior surface quality, or special chemical restrictions, metallurgical characteristics, heat treatment or surface finishes. The internal quality of these steels is very important since machining and bending activities are involved during the processing of these steels in subsequent stages. In order to achieve metallurgical quality, the steel has to be particularly clean. This makes the production route of these steels a bit complex. Steel cleanliness can be achieved through the integrated route or through an additional refining step and cleaner iron bearing inputs into an EAF in a mini mill. Internal metallurgical quality and consistency is also achieved by a meaningful reduction during the rolling process. These steels are produced both in cut lengths and coils. The specification of SBQ steels may range from plain carbon and carbon manganese steels to alloy and stainless steels containing different percentages of aluminum, nickel, chrome and other alloying elements. The chemistry of these steels is more complex than merchant quality steels. These steels may have many grades. Special bar quality steel may have products of shapes which can be classified into round, square and hexagonal bars. The products may also include hot rolled steel bars, cold finished steel bars. These steels are produced with more precise dimensions and chemistry. These steels have superior mechanical properties and defect free surface. The products from the special bar quality steel line adapt to the customer’s specific requirements, including those related to chemical composition, malleability, hardness, ductility and steel surface condition.These steels are generally machined, forged or cold drawn during subsequent processing. ASTM standard A 576 -90 b covers specification for plain carbon special quality bar steels for applications which includes forging, heat treating, cold drawing, machining and many structural uses. This specification has got 53 grades under the category of non-resulfurized steels, 15 grades under the category of resulfurized steels and 5 grades under rephosphorized and resulfurized category. The range of carbon content in these steels varies from grade to grade with minimum of 0.08 % and a maximum of 0.76 % while the manganese content in these steels ranges from a minimum of 0.30 % to a maximum of 1.65 %. Sulphur content in the 15 grades of the resulfurized steels also have different ranges of sulfur with a minimum of 0.08 % to a maximum of 0.33%. Similar is the case of resulfurized and rephosphorized steels. SBQ steels are used in safety critical applications. Most producers see ties to the automotive industry as the key drivers of the SBQ steel grades. 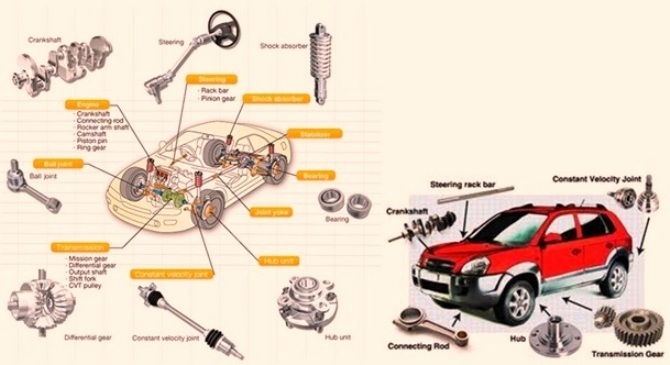 The main application area for special bar quality steels is the automotive industry for engine, transmission, steering, suspension and hydraulic components (Fig 1 ). SBQ steels are used for bolts, springs, cable wires, chains, tyre beads and many similar applications in automotive industry. These steels are also used for a wide range of industrial applications. The petroleum industry uses them to produce valves and pipeline couplings for oil extraction. In the hand tools sector, they are used for hammers, screwdrivers and wrenches, among others. SBQ steels are used for wind turbine components, bearings and seamless tubes.